Plan the Maine Beaches vacation of a lifetime now. Our endless sandy beaches, storied lighthouses, and quaint seaside villages offer an unforgettable Maine vacation that is closer than you ever thought possible. Breeze through your own digital copy of the Maine Beaches visitor’s guide now. 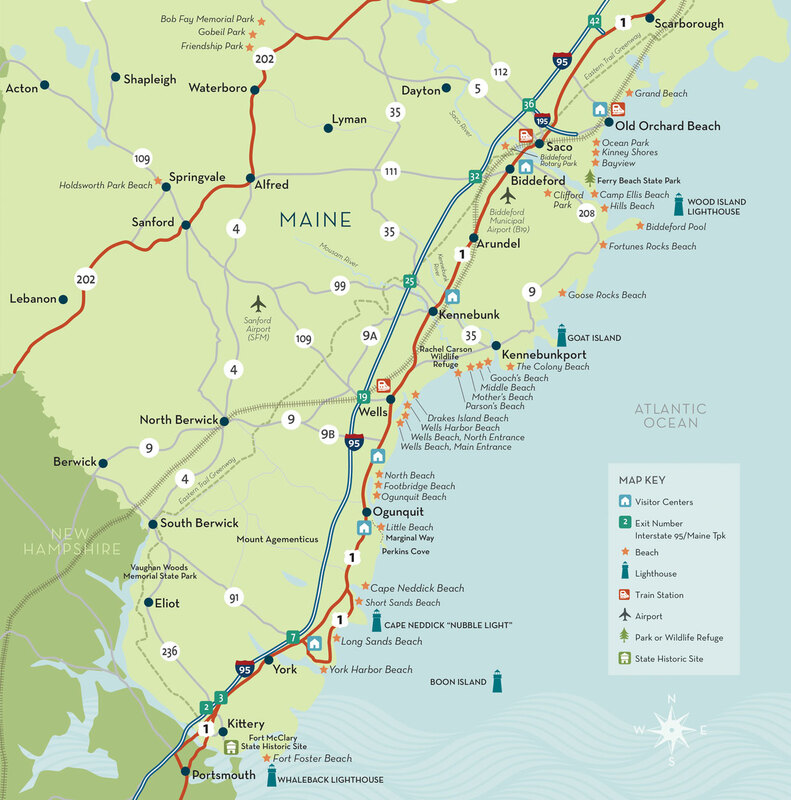 Once you arrive, stop in at any of our chambers listed here or at the Maine Turnpike Visitor’s Center in Kittery to get a printed version of the guide. These communities throughout southern Maine are dedicated to supporting tourism along the southern Maine coast.